The Ubuntu Developer Summit ended last night and I’m on my way home. Ubuntu 10.04 LTS is going to be an incredible release and I’m proud to have participated a little bit in the process. I’ll be writing more about it as time passes. 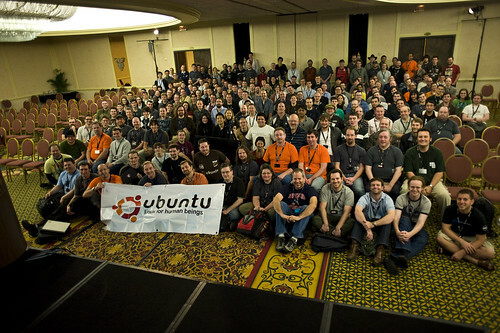 For now, enjoy the group photo (I’m in the second row, just behind the guy holding the right end of the Ubuntu banner. Click the photo to go to the Flickr page where it was uploaded and where you will find a larger version available.